Hans Bølling (b. July 25th 1931) is a Danish architect who studied at the Royal Danish Academy of Fine Arts. Bølling’s work is known for its playful quality, humor and wit. His practice and products are inspired by creative diversity. Bølling’s interest in architecture drew him back to school for a secondary degree after training as an advertisement designer, growing his practice beyond objects to include villas, living complexes and town halls. Early in his career he began to craft small figurines as gifts for family and friends. The precision and personality in his objects paved the way for success as he son started selling the wooden figures to stores. Shortly thereafter , Bølling won an award for the designs and used the prize-money to buy his own carpentry machine. This kick-started the production of Bølling’s now-famous Duck and Duckling in the 1950’s. The story behind the Duck and Duckling is a curious one. A family of ducks stopped traffic in Copenhagen, in the neighborhood of Frederiksberg, in 1959. Precisely during rush hour, the family of ducks waddled into traffic, prompting a police man to immediately stop all cars and pedestrians so as to let the ducks cross unharmed. 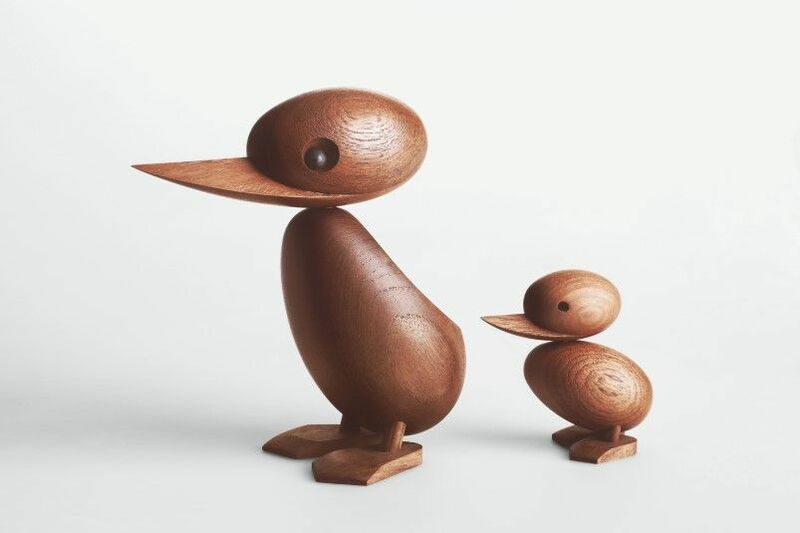 This charming moment made headlines and wooed the hearts of all Danes, even to this day, and especially Hans Bølling who was so enamored by the story that he was inspired to create the Duck family.